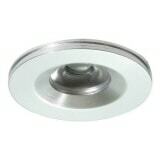 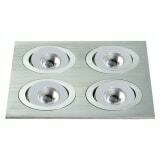 Our LED downlights are the energy efficient, longer lasting alternative to traditional halogen-based down lights. 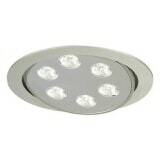 Bright and powerful, yet cost effective to run, these sophisticated lighting products can be surface fitted or supplied with recessed fittings that will look great in any home or office environment. 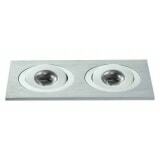 They are also low maintenance and should provide years of quality service before they need to be replaced. 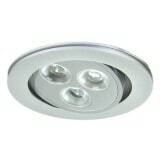 As well as providing fixed LED down lighting products, we also offer a range of LED ceiling lamps and spot lights that can be easily repositioned as required. 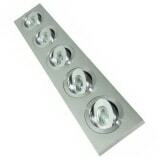 If you are looking for a dimmable lighting solution then we can also provide LED dimmer switches that will enable you to adjust the amount of light produced by your LED downlight, either by means of a wall mounted control or via a convenient infrared remote. 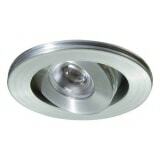 Appropriate for any part of the modern home, these stunningly elegant downlights are typically supplied with a brushed aluminium finish that will complement any interior design scheme flawlessly. 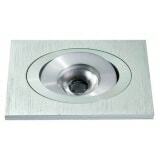 Available in a wide choice of styles and sizes, popular applications for this product range include bathroom and kitchen lighting, as well as outdoor patio lighting. 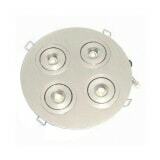 Why Convert Light Fittings To LED? 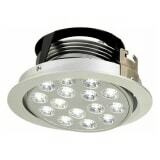 How Does Strip LED Lighting Work?